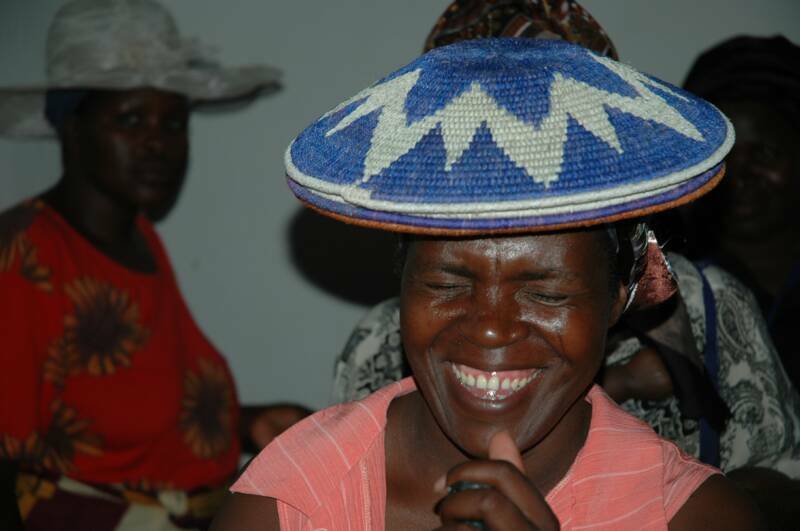 Many of our basket makers are either widowed or abandoned by their husbands. In EVERY case they are responsible for raising, feeding and clothing their children. If they want them educated that responsibility rests on them as well. 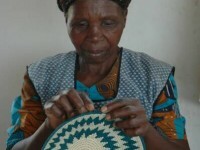 Basket weaving is a skill that is passed on from generation to generation. 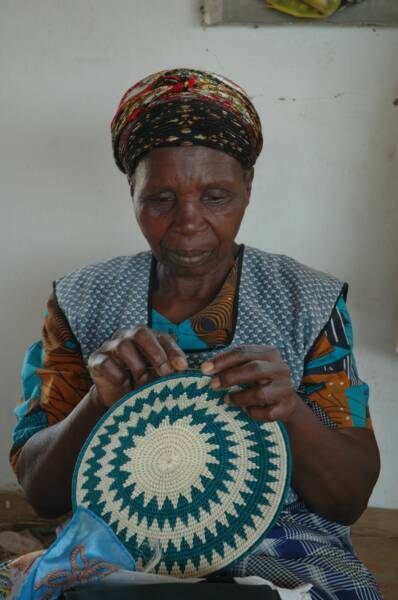 It takes about three days just to weave an average sized basket (approximately 8″ round). 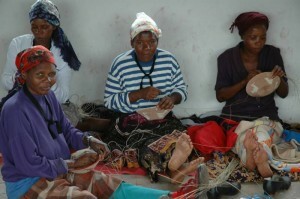 All materials that go into making them are found in the hills and valleys of Swaziland. 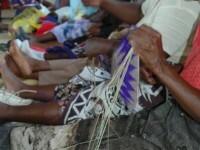 Likhasi (thin blades of grass) and umtiya (sisal) are cut, dried for a few days, and shredded. 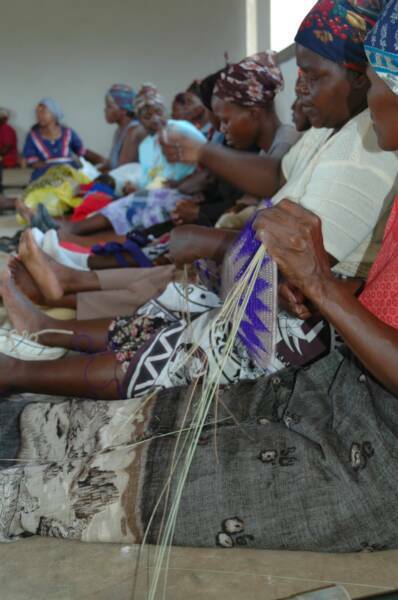 The sisal is dyed from tree bark, leaves or store-bought dyes, then spun by hand into yarn. All in, the entire process takes almost two weeks. We buy baskets periodically from about 120 women. For many of them this is their only source of income. We pay school fees for the children of many of these women and they repay us with baskets over the school year. We never demand immediate repayment from the women whom we have assisted. 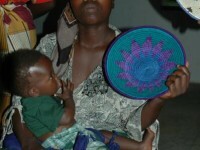 We always give them cash for some of their baskets but if they owe us, we will accept the baskets as a form of payment. 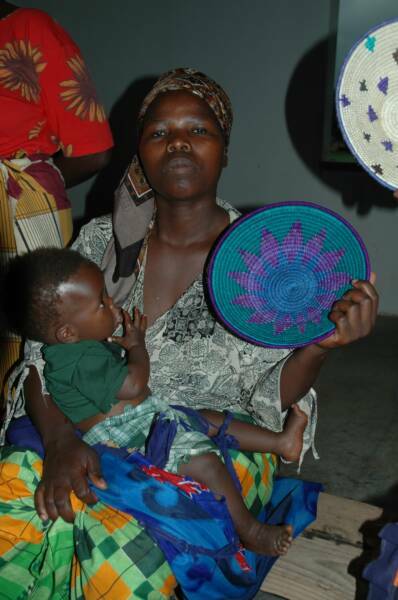 Other women need food, a wheelbarrow, building materials, or shoes for their kids. We buy these things for them and they pay us with baskets as well. During planting season we trade baskets for fertilizer, seed, and hired tractors to plow their fields. The baskets come in a multitude of colors and patterns. We pay them a good price for their baskets, more than local traders do because we think they’re worth more. 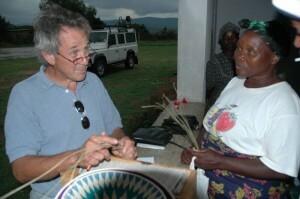 The baskets are sent to the US where volunteers sell them for us. The proceeds are then returned to Swaziland where we reinvest in the development of the rural communities where these women live.